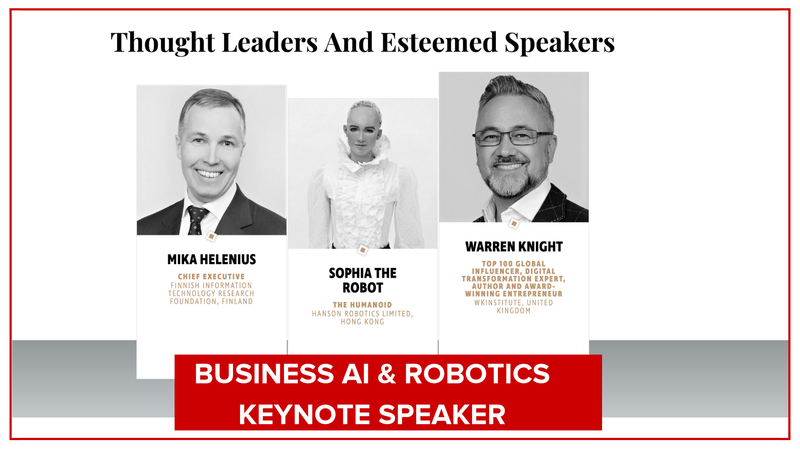 Warren Knight will be delivering the opening keynote presentation at European Business AI And Robotics in Helsinki on October 24th 2018. He will be delivering a keynote on his astute perceptions about how businesses can affect digital marketing on a global scale by embracing AI and machine learning. The conference aims to provide delegates with deeper insights into the multi-facets of Artificial Intelligence and how the technology is evolving across different industries. Attendees should be prepared to take their business to the front-end of AI-powered customer experience revolution. Warren will be joined during his keynote by Sophia, the humanoid. Sophia is the world’s first humanoid citizen and is focused on saving the planet, she also has plans to conquer Mt Everest!